Looking for something to distract you from election results? You're in luck! JoBlo Movie Trailers on YouTube just dropped a brand new international trailer for Rogue One: A Star Wars Story and it's incredible! 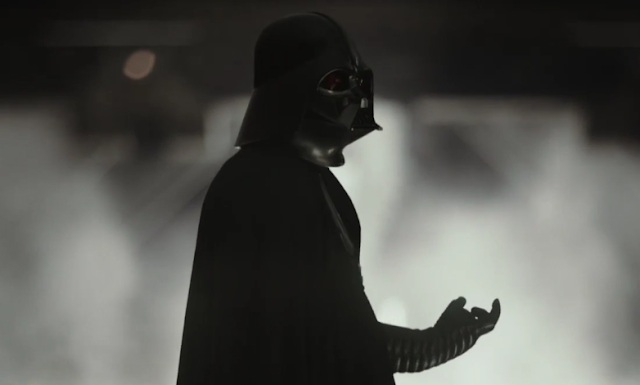 Why was Vaders arm all gimpy? It does. But the neck piece of Vader's helmet is horrible. Looks like the one I had as a kid. Bodhi Rook will die. The dude with the goggles. In Trailer 2 you can see the top of his head as stuff on a planet collapses. Now we know it's doing that because of the Death Star. Lol!!!... I was thinking the same thing.. Yes fix the freaking helmet..im so glad im not the only one who noticed this!